Obituary – Humphrey, Carl Monroe « Perry High School Alumni Association, Inc.
Carl Monroe Humphrey, 72, route one, Morrison, died early Monday at Stillwater Medical center. Funeral time and place of burial are pending with Strode Funeral home of Stillwater. Services will be held at the Methodist church at Morrison. Humphrey was born April 29, 1908, northwest of Perry, the son of Cleve and Carrie Humphrey. He was born on a farm homesteaded by his grandfather. 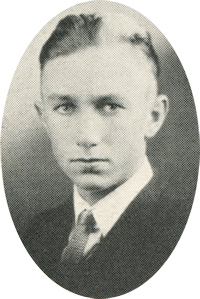 Humphrey was a 1925 graduate of Perry high school. 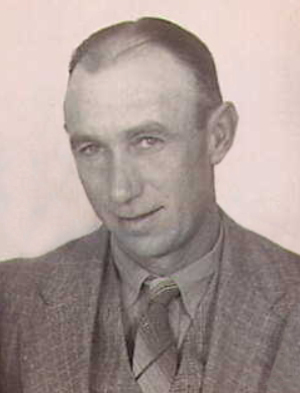 He farmed north of Perry until 1940 when he purchased a farm west of Morrison. He and Jewel Scoles were married May 23, 1937, at Newkirk. Humphrey retired from farming in 1973. He was a former member of the Morrison board of education and the Noble county fair board. In addition to his wife, of the home address, survivors include three sons, Theodore Carl Humphrey, Claremont, Calif; Christopher Carter Humphrey, Tulsa; and Michael Houston Humphrey, Oklahoma City; one sister, Mrs. Ena May Howard, Perry; and four grandchildren.